The spotlight has turned on the Judiciary after President Uhuru Kenyatta and the Director of Public Prosecutions Noordin Haji accused courts of slowing down the fight against corruption. Both accuse the Judiciary of giving suspects orders that derail the fight and undermine the resolve to stem the vice. Speaking last Friday in a roundtable meeting with journalists in Mombasa, President Kenyatta complained that graft cases are taking unnecessarily long to be concluded. Further, he accused fraud suspects of using the Judiciary to defeat the cause of justice. And in his New Year message to Kenyans, the President said he will enhance the work of Asset Recovery Agency to ensure that they use court orders to freeze and confiscate assets and accounts of fraud suspects. 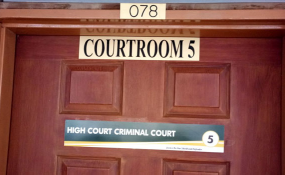 "Individuals charged with corruption offences will not be allowed to flaunt their ill-gotten wealth as court proceedings are ongoing. "Once the suspects are convicted, the assets will be transferred to the Criminal Asset Recovery Fund, ready for use to finance projects and programmes that will improve the lives of Kenyans," he said. On the other hand, Mr Haji has sought the intervention of Chief Justice David Maraga, arguing that conservatory orders granted are exploited by suspects to evade justice. This was after the high court barred the State from prosecuting lawyer Tom Ojienda over alleged falsely obtaining money from Mumias Sugar Company. Mr Haji also complains that suspects are routinely released on lenient bond terms as well as allowing constitutional office holders facing graft charges to access their offices. This was after National Land Commission chairman Muhammad Swazuri was allowed to access his office after he was charged. Other than Prof Ojienda, Deputy Chief Justice Philomena Mwilu obtained orders stopping her prosecution over alleged abuse of office and failure to pay taxes. In a tweet, lawyer Donald Kipkorir suggested that graft suspects should be held up to six months. "In the New Year, President Uhuru Kenyatta, DPP Noordin Haji and DCI George Kinoti should invoke Article 25 of the Constitution to fight corruption. "To hold suspects as in Japan for up to six months isn't violating the Constitution. Rights of accused persons aren't absolute," he said. More than six months after nearly 50 suspects were charged over the loss of Sh468 million at the National Youth Service (NYS), only one witness has testified in the matter that has been dogged by several adjournments. So far, more than 200 people, among them senior government officials, principal secretaries and CEOs of state agencies, have been arraigned and charged with various criminal offences in line with President Kenyatta's renewed graft war. Lawyer Assa Nyakundi, one of the advocates representing people charged in the NYS scam, said Mr Haji should expect such roadblocks especially after going for "high-profile individuals".
" ... But he cannot accuse the courts of derailing him. There is no way you can get into the water and not expect to get wet," he said. The lawyer said judges have wide discretion and grant orders depending on the weight of the matters being raised. Lawyer Lempaa Suiyanka says public perception is that anyone with money can use the courts to defeat the course of justice. "Our national anthem says justice be our shield and defender , but to some it is money be our shield and defender. This public perception is a big-indictment on the rule of law," he said. The lawyer said the fact that some people can rush to court and obtain orders barring the criminal justice system from being applied against them is not a good strategy, and advises that if one strongly feels that the DPP is wrong, the best thing to do is to confront such cases during the trial. "My strategy would be to confront the evidence presented by the DPP during the trial and cross-examination of the witness with a view to shaming the prosecution and not stopping the charges. "This is because Kenyans tempt to think that by stopping the trial, there is something one is trying to hide," he said. Speaking in June last year during the swearing-in of Court of Appeal president William Ouko, Justice Maraga said courts will not be used as a scapegoat in the fight against corruption. "Therefore, the drill and discipline in this game is simple; present to the court a case that meets the criminal threshold and expect a conviction. Anything else is misguided, illusory and an exercise aimed at passing the blame to the courts," he said.